Today, thousands of people march in the Women’s Persistence March in Spokane, Washington, just around the corner from where I live. We march and rally to support racial justice, human rights, civil rights, social and environmental justice, and so much more. To celebrate the continued persistence of these activists, I am hosting a craftivism book giveaway right here on the Two Hearts Crochet website! If you’re unfamiliar with the term, craftivism is basically the practice of using crafts to voice opinions usually regarding social or political causes. For many (myself included), using crafts as a means of self expression both soothes and stirs the spirit. One of my resolutions for 2018 was to include more craftivist projects in my life, and I’ve got just the thing to get started. Today, I’m reviewing two amazing books: Protest Knits: Got Needles? Get Knitting! (which you can find here) and Really Cross Stitch: For When You Just Want To Stab Something A Lot (which you can find here). A representative of Bloomsbury Publishing sent me a copy of each of these books to review, and she generously sent me two copies of Really Cross Stitch to give away to you! (Really Cross Stitch is my favorite of the two books…more on that later!) While the books were gifted to me, the opinions presented in this review are purely my own. So pour yourself a cup of something yummy (like tea, coffee or, I don’t know, social justice) and let’s get started! If you’re in a hurry, you can scroll down to the bottom of this page for details on the giveaway! Review of Protest Knits: Got Needles? Get Knitting! A knitting book review on a crochet website? I know–radical. But hear me out. Protest Knits is filled with a variety of knitting craftivist patterns and some lovely crochet patterns, so it isn’t just a book for knitters. The knit patterns range from Nasty Woman gloves to a brain hat to a really awesome RESIST scarf/shawl. The crochet patterns, while fewer in number, include patterns for adorable Peace Flowers and a Make Love Not Walls messenger bag. Like any good knit/crochet pattern book, Protest Knits gives you a list of all of the materials needed to make each pattern, and the photos are beautiful! They show you a good, clear view of the finished product. This book also offers lots of tips on the different techniques you’ll need to use, so you’re guaranteed to be all set when you pick up your needles or your hook. But my favorite thing is that it shows these finished objects in use within protest settings–it just makes you want to get up and get out there! Whether you crochet or knit, you’re going to love this book. 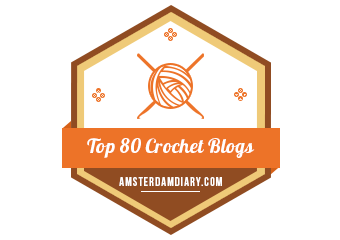 It ranks the patterns by difficulty level, too, so it’s great for crafters of all skill levels! I’m eager to try and knit that RESIST scarf, but my knitting dreams currently outshine my knitting skills. And aren’t those Peace Flowers just the cutest? If I had thought of it, I would have made dozens of them to pass out at today’s Persistence March in Spokane. I’ll plan ahead next time! You can get your own copy of Protest Knits here. 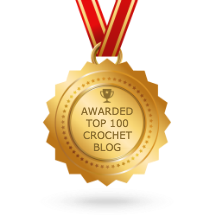 A cross stitching book review on a crochet website? Trust me on this! As a graphghan pro, I’m no stranger to thumbing through cross stitch patterns for graph inspiration. Between perler beads and cross stitching, inspiration abounds! And Really Cross Stitch is perfect for a crocheter (or knitter, or obvs, cross stitcher…) who wants some craftivist-themed graphs in their repertoire. I can see these patterns being used to make blankets, wall hangings, pillow coverings, and even used as graphed designs for the fronts of sweaters! The patterns in this book are 1) ah-mazing and 2) great for any graph-related project. So whether you cross stitch or not, this book is absolutely perfect for any graphing fiend like myself. The patterns in Really Cross Stitch have total Women’s March and Science March vibes. They’re political, and they range from “polite” to, well, “impolite”. I won’t share the curse-y ones here with you, but if you’re a curse-y person, you’ll find some you like. This book, like Protest Knits, gives you all of the information you’ll need on materials and supplies to make these patterns–as long as you’re cross stitching them! And if you’re new to cross stitch, the book also includes an introduction to cross stitch section to help you get started. I’ve sharing some photos of a few of my favorite designs from this book here on this page (see above/right/below). I’ve actually decided to make the “Nevertheless She Persisted” graph below into a wall hanging! I’m using single crochet stitches and carrying my yarn across the back. The plan is to frame it and hang it up in my office, but I’ve only just begun. I’ll keep you updated on my progress! You can purchase your own copy of Really Cross Stitch here, but I’m giving away two copies of this book to my wonderful readers! Click HERE to enter to win your very own copy of Really Cross Stitch! Copies have been provided by Bloomsbury Publishing. Two (2) winners will be selected after the giveaway has ended and will be contact via email. Due to WordPress html limitations, I am unable to post the giveaway form directly on this page. To enter, click on the link above and follow the prompts. Update: Congratulations to our winners, and thank you to everyone for participating in this giveaway opportunity! I love the “Got the Plague” cross stitch! I want to make the “I am very upset” cross stitch pattern first! That way, when I am upset, I can just point to it! Lol! Honestly, all of the patterns will probably get made, at some point or another, if not for myself, then for friends & family! Love the plague /science one. I love crosstitching. It was the first craft my mom taught me. Fingers crossed. I must make the “thanks science” pattern into a blanket! I would love to have the really Cross stitch book. It’s amazing! I think the Nasty Woman gloves sound fun! I wanna make some! I want to make the resist scarf! The charities nearest to my heart are those dealing with animal welfare. I plan on making paw print items for sale and donating proceeds either to a local shelter or petfinder foundation. When it comes to political issues, there are too many to list here. I really love all these patterns! I think the first one is make is the “thanks science” one. I love the plague one best but I’m sure there will be others as well I like just as much. I may have lost it at the plague graph. Definitely something I would make to give myself a laugh daily as my father is quite the nonbeliever and I hear it constantly. The oceans are rising and so are we.. how powerful! Our innocent animals are high on my personal “care about” list so I would love to make that! I love the idea of protest knits, its a great way to grab attention at a rally. The social issue closest to me is probably the lack of attention people pay to each other. We are all very contained in our own little bubbles and fail to care about anyone that’s not connected to us. The most prominent example is mental health and homelessness, how many people do we walk past in the street without doing anything? Speaks to me on so many levels. 🤣. Hoping its got some sarcasm in it. I like the “oceans rising” pattern. they’re all pretty neat. Really liked the got the plague cross stitch pattern.